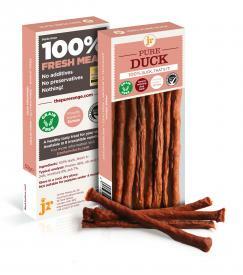 Pure dog treats are made with all natural meat with no artificial additives. With a range of delicious varieties, these treats are sure to be a hit with any dog and are completely natural and healthy. Here at Big Dog World we highly recommend this range.